I decided last year that I would make at least one scrap busting quilt a year. and this year it is my version of the Bottled Rainbow Quilt. anything witty to call my posts or a day that rhymes with "Bottled Rainbow"
If you want to come a sew this one with me, please do. 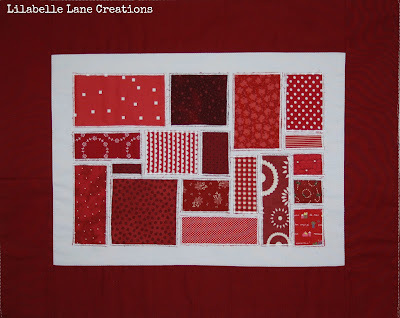 This is a great quilt to make with your scraps of fabric and your batting scraps. 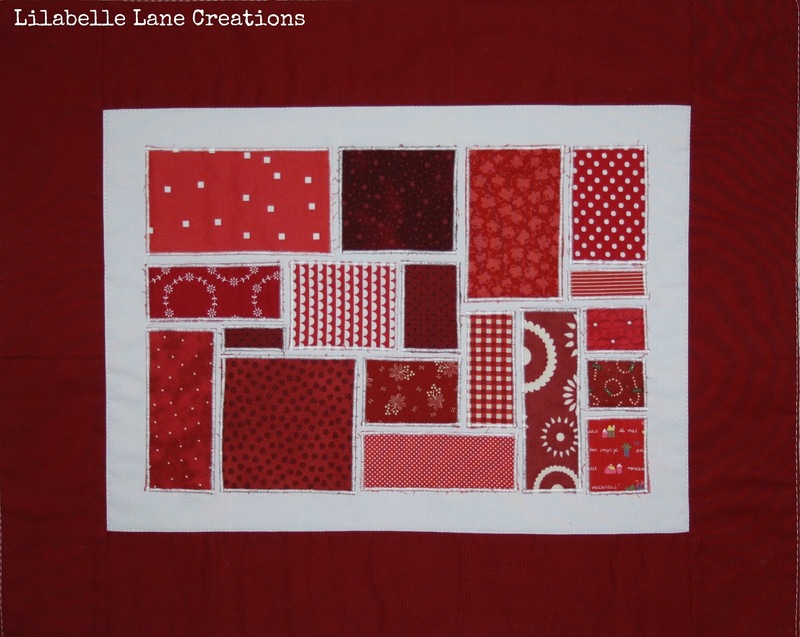 This will also be my first attempt at "ticker tape" and Quilt as you go. quiet night in front of the TV. It looks great Sharon. You've started with the best colour. Enjoy your evening. gorgeous ! love the idea! I love the bottled rainbow quilt! Your first block is fantastic! Good luck! I just finishe a Ticker Tape quilt myself and it is a lot of fun but can get old with all the sewing. It's gorgeous - would love to make one too... Maybe i'll give myself a kick up the backside sometime and start doing something about it... sometime... :) Looking forward seeing the next ones!